Thousands of ringtones on Audiko.net! 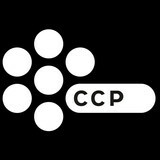 All you need is to download a free CCPGames ringtones for your iPhone or mobile. Choose your favorite passage from your favorite piece of music - Permaband - Killing Is Just A Means, EVE Online - Aegis Release Theme, Gunjack OST - The Outer Ring, or any other track. We provide you with an option to gain your tune both in the MP3 and m4a formats, compatible with both mobile phones and iPhones. Just select a track, and choose free CCPGames ringtones download option.